Deeply‐coloured. Refined nose of toasted oak backed by liquorice, candied fruits and mild spices. Soft, velvety palate with marvellously restrained power and a broad‐ranging aromatic spectrum supporting the whole. 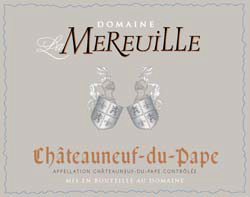 A racy, noble Châteauneuf. Best with: Meat fried with mushrooms, duck confit, cheese. To be served at: 16 or 18° C.